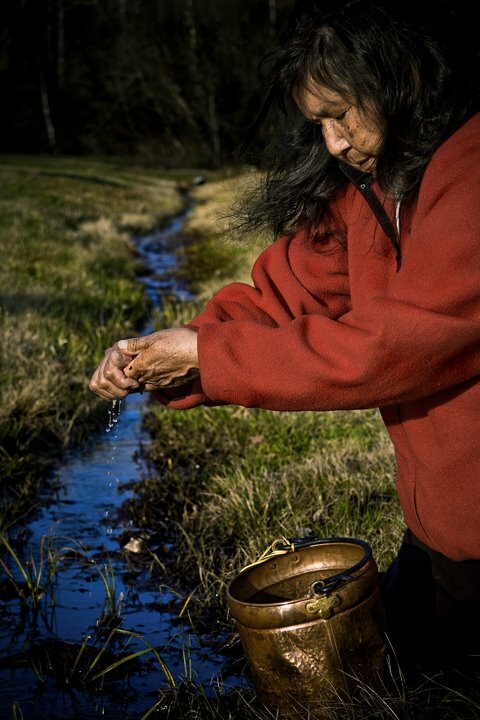 Josephine Mandamin (Wikwemikong First Nation), known as a tireless advocate and Water Walker, dedicated her life to the protection and preservation of the Great Lakes and surrounding waters while raising awareness that water is not only sacred but also our lifeline. Grandmother Josephine was recognized for her determination to protecting the Nibi (water), and her role in the 2003 Mother Earth Water Walk, receiving the Lieutenant Governor’s Ontario Heritage Award for Excellence in Conversation in 2016. She also played a key role in establishing the Great Lakes Protection Act during her time as Chief Commissioner of the Anishinabek Nation Women’s Water Commission. Grandmother Josephine moved on to the spirit world in February of this year but her legacy is continued by her great niece, Autumn Peltier. Josephine’s story was made into a children’s book authored and illustrated by Joanne Robertson, ‘The Water Walker’ is an homage to Ojibwe Nokomis Josephine Mandamin – and the water walk movement she continues to inspire.